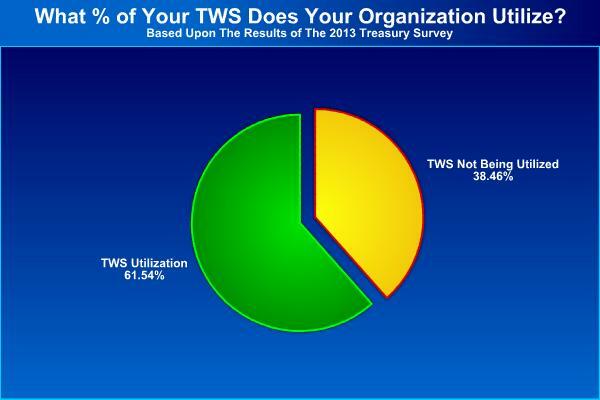 The majority of treasury workstations are not fully implemented! TreaSolution's treasury workstation consultants have extensive experience implementing treasury workstations (treasury management systems) for both domestic and international organizations. By leveraging our consultant's experience, your treasury workstation implementation project will be efficiently managed while simultaneously incorporating treasury management best practices. The implementation of a treasury workstation is the ideal time to implement treasury best practices. By utilizing TreaSolution, your organization will have access to our treasury workstation experts and proprietary database of treasury best practices. This combination of implementation experience and treasury best practice knowledge will help ensure the successful implementation of your treasury workstation. 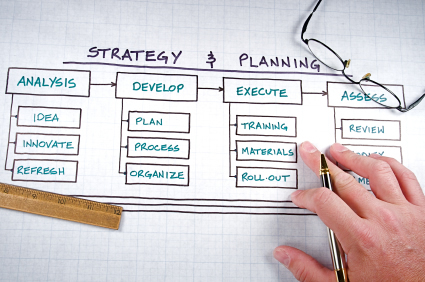 Since every treasury workstation implementation is unique, our consultants will customize the implementation project plan to meet your organization's specific requirements. TreaSolution's treasury workstation implementation process consists of five main step: Planning, Build-Out, Implementation, Testing and Roll-out. Our proven treasury workstation implementation methodology will help ensure that your treasury workstation is fully implemented in an efficient manner. Learn more about how TreaSolution can make your treasury workstation implementation project a success! Please feel free to Contact Us for a customized, no-obligation treasury workstation consulting estimate which will include a detailed project description, our qualifications and references. Did you know that the average organization fails to implement over 1/3rd of their treasury workstation? Your organization already made an investment in a treasury workstation, shouldn't your treasury department realize the it's full value? As mentioned at the top of this page, the majority of treasury workstations are not fully implemented. 1.) Review your current treasury workstation utilization. 2.) Make recommendations for greater treasury workstation functionality. 3.) Assist with the implementation of additional treasury workstation functionality. You already purchased the treasury technology, let TreaSolution assist your organization in realizing it's full value! TreaSolution performed a treasury review, treasury workstation selection consulting and treasury workstation implementation project management for a $8.28 billion healthcare company. During the treasury workstation selection process, TreaSolution consultants worked closely with treasury and IT personnel to document current processes, extract requirements and document "wanted upgrades." Based upon this information we were able to create a treasury workstation selection scorecard which was utilized during the treasury workstation demonstrations and information discovery process. Based upon the information provided by the treasury workstation vendors, we were able to score vastly different treasury technology providers on an "apples-to-apples" basis. Ultimately, TreaSolution assisted our client in evaluating each treasury workstation vendor and benchmarking their respective functionality against our client's operational and budgetary requirements. Upon the selection of a treasury workstation, our client retained TreaSolution to provide treasury workstation implementation project management services. Our treasury workstation consultant was able to successfully leverage his past treasury workstation experience coupled with his prior work with our client. Throughout the treasury workstation implementation, TreaSolution's treasury workstation consultant coordinated internal & external resources, implemented treasury best practices, managed the treasury workstation implementation project plan and more! Would you like to learn more about treasury workstation implementations? We'd be happy to schedule a phone call to discuss this topic in more detail.